The Austrian government, led by Prime Minister Sebastian Kurz, was in Brussels on Wednesday (6 June) for a traditional get together with the EU executive ahead of the country’s EU stint, starting on 1 July. 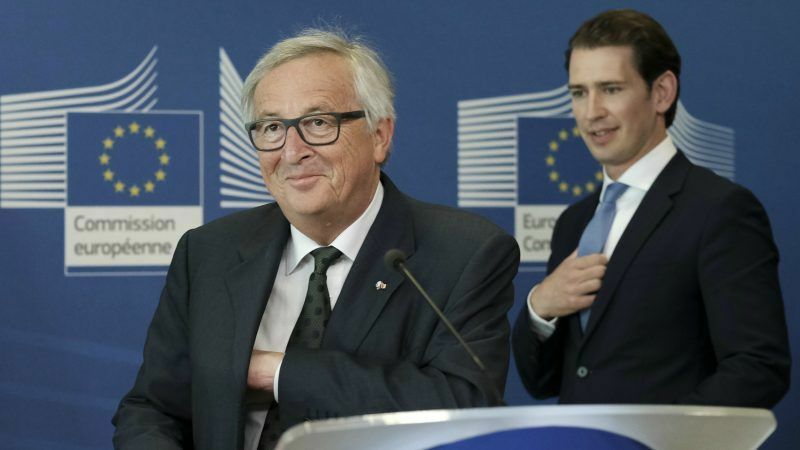 Speaking to the press alongside Kurz, Juncker said he expected the Austrian Presidency would be very successful, and played down possible differences, including in tackling migration issues. “Sometimes we may have different ideas, they are not so different though, I see a lot of overlap, especially when it comes to being pro-European, which is something I certainly see in the Austrian government,” he said. Kurz, who hosted Russian President Vladimir Putin the previous day, said the EU was in a difficult and challenging situation. “It’s very difficult to see even the near-term future with the US, we had some tensions between the EU and Russia as well, we have Brexit, for the first time a member state is going to leave the Union, on the top of that we are having very difficult budget negotiations, we are talking about the multiannual financial framework, that’s the context of our presidency,” he said. He added that his country’s presidency will be the last full-term presidency under this European Parliament and that 300 trilogue meetings between the EU institutions will be held. The European elections will take place in May, under the Romanian Presidency. 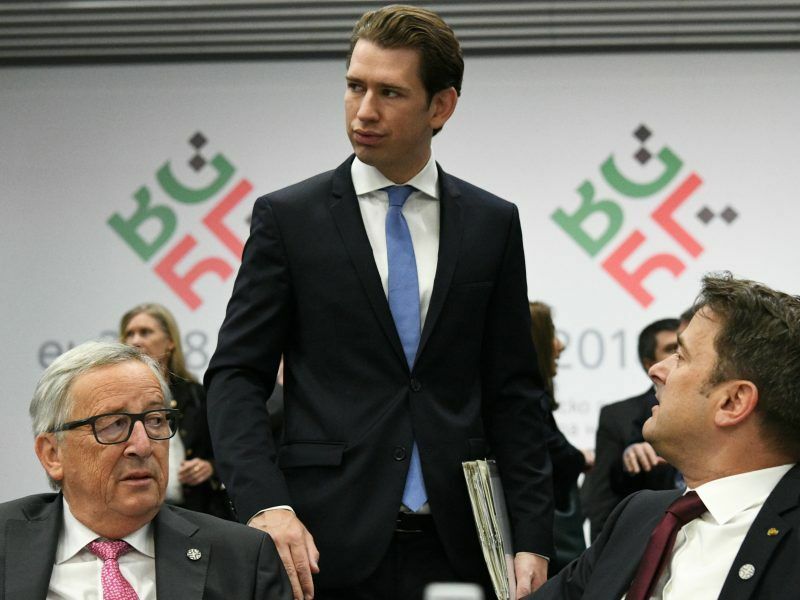 On the migration issue, Kurz made it clear he was not over-optimistic that the bigger issue – the reform of the Dublin system for asylum – could be wrapped up at the 28-29 June EU summit. 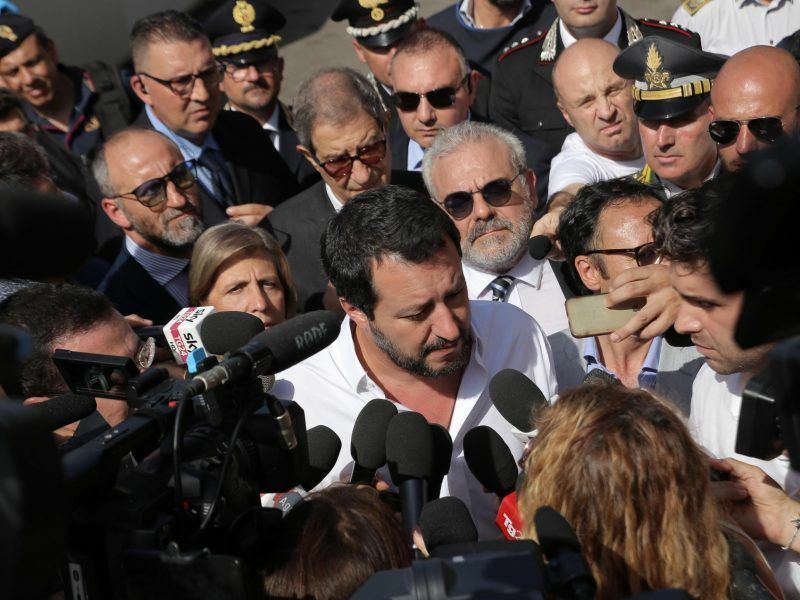 The new Italian government said earlier this week it wanted to stop having to take in thousands of refugees that have crossed the Mediterranean, insisting the EU should do more to help and that economic migrants should be sent back to North Africa. Under the EU’s current Dublin rules, asylum seekers are supposed to be processed in the first country they land in but this has left Italy and Greece bearing the brunt of the problem. EU leaders will meet on 28-29 June in Brussels supposedly to agree changes to the Dublin rules but talks this week failed to make much progress. The principal sticking point is that many countries, especially in eastern European states such as Hungary and Poland, refuse to take in EU-set quotas of refugees for processing to ease the pressure on Italy and Greece. “There will certainly be lively discussions on the quotas,” Kurz said, adding there was general agreement on tightening control over the EU’s external frontier so as to reduce the numbers of migrants coming to Europe. “If we can make progress on the frontier issue, the other questions should become secondary,” said Juncker, who backed the ill-fated quota system which was introduced at the height of the migrant crisis in 2015. Asked if the EU budget for the next seven-year period could be agreed during the term of the current Parliament, Juncker said it was important to find such an agreement. “If the agreement takes too long, I see risks that we lose time with respective programmes. We would lose time, we would lose a lot of jobs in research, in 2021 we would have one million fewer participants in the Erasmus+ program, and so on and so forth,” Juncker said. To this Kurz said that on budget, it was desirable to find consensus before the EU elections, but reminded that at the last EU Council “quite a few colleagues said that quality should prevail over speed”. He added: “I’m not quite sure when we will have sufficient quality to take a final decision”. Asked about Austria’s Vice-Chancellor Hans-Christian Strache, who is also the leader of the far-right FPÖ and had called for EU sanctions against Russia to be lifted, Juncker said “these important issues were discussed” and that his impression was that some of the remarks of the Vice Chancellor were reflected “not quite accurately”. “My overall impression of the government is a quite positive one”, he said. Does President Juncker fears further division in the EU? Hence, his reconciliatory attitude towards Austria? He does not want his legacy to be marked by divisions. The danger of the break-up of the EU is a possibility. The best hope is probably a two-speed or multi-speed Europe.